hunting hanger, court of Charles Theodore, 18th cent. from the court of Carl Theodor Prince-Elector, Count Palatine and Duke of Bavaria. Palatinate, 2nd half of the 18th century. Length: 71 cm, 28 inch. Straight double-edged blade with a ground ball-decor. The lower half engraved with a gilt decoration against a blued ground on each side, including trophies, the ligated monogram ‘CT’, the palatine crown and the insciption: „V[ivat]:Chur Pfalz“; above a small guard the large engraved heraldy of the Prince-Elector. 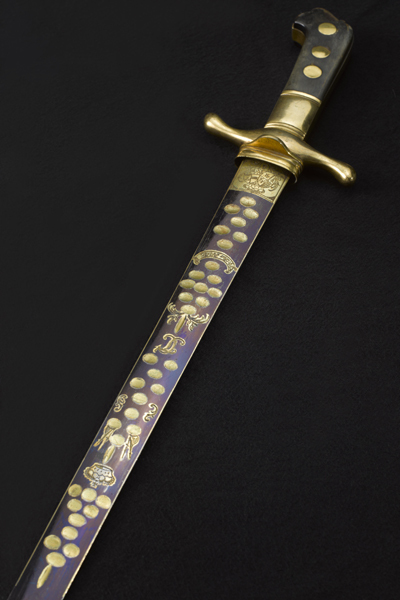 Cast and gilt-brass hilt with staghorn grip-scales. 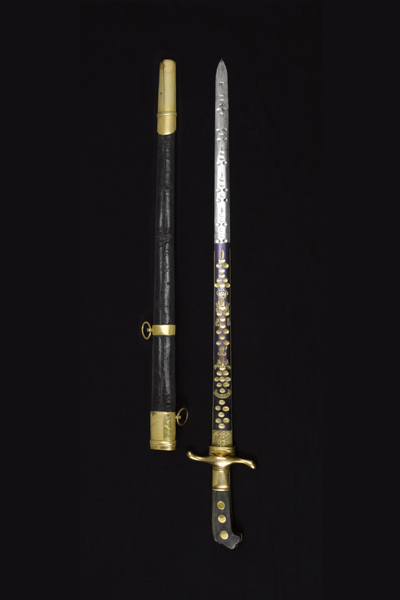 Original leather-covered wooden scabbard (restored) with two rings for suspension. 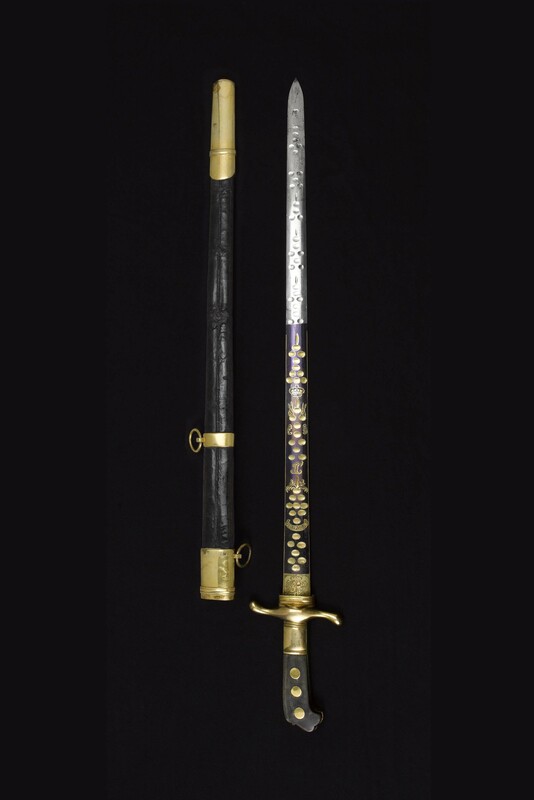 Gilt-bronze mounts and a side-pocket for a by-knife (missing). Schwetzingen, Staatliche Schlösser und Gärten Baden-Württemberg, Ausstellungskatalog, 1999, Die Lust am Jagen, Jagdsitten und Jagtfeste am kurpfälzischen Hof im 18. Jahrhundert. Quaas, Gerhard (Hrsg. ), Hofjagd, Aus den Sammlungen des Deutschen Historischen Museums, 2002, page 75, cat.-no. 28, plate, page 16. Heidelberg, 1979, Ausstellungskatalog, Carl Theodor und Elisabeth Auguste, Höfische Kunst und Kultur in der Kurpfalz, Kurpfälzisches Museum der Stadt Heidelberg, page 82,84 and 158. Mannheim 1999, Ausstellungskatalog, Lebenslust und Frömmigkeit, Kurfürst Carl Theodor (1724-1799) zwischen Barock und Aufklärung, Reiss-Museum Mannheim, page 274 -275.